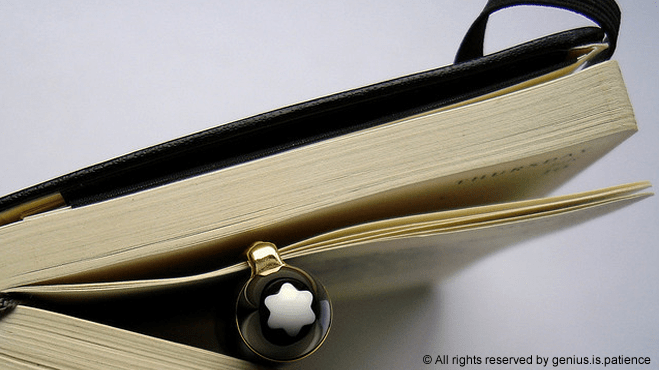 One of my most frequently used web tools – Evernote – has collaborated with my lifelong companion – Moleskine – to convert my note-taking and journal entries and provide them to me in a digital, searchable format. Moleskine notebooks are everywhere, overpriced, and somewhat of a cliché in some circles. I don’t care. There is something about writing ideas, comments, quotes, and referencesI encounter during my daily activities into my notebook that is very comforting. Evernote is on every computing device I own from desktop to laptop to iPad to iPhone. I have written about Evernote many times in the past to highlight the productivity and value that I gain when using Evernote to capture the ideas, comments, quotes and references that I encounter during my daily activities. I never have to worry that I will be able to come back and find the information and use it when it is needed. With the release of the new Evernote Smart Notebook by Moleskine, both are now combined into one very helpful solution. The new Evernote Smart Notebook uses Evernote’s Page Camera feature to capture the pages of your notebook with your smartphone or tablet. Evernote Page Camera is the iOS version for iPhone and iPad. Evernote Ruled Smart Notebook features the unique “Evernote ruled” page style with dotted lines designed to ensure a clean image when digitally capturing your notebook. Smart Stickers introduce Smart Tagging into your workflow. When you capture a page with Evernote, the Smart Sticker icons become searchable, digital tags that make it easy to keep your ideas organized and to keep your digital and analog work-spaces synced. Hold on – each notebook is priced between $24.95 and $29.95 depending on size and type and at first blush that seems ridiculously high. What makes this new product a good value in my eyes is that each Evernote Smart Notebook comes with 3 months of Evernote Premium which I have been paying $5.00 per month for some time. Evernote Premium gives you bigger upload capacity, offers greater sharing options, gives you access to note history, and more. Plus, you get PDF searching, faster image recognition, and no ads, all of which I thoroughly enjoy and recommend. Yes, the notebook itself will set me back $29.95 for my version (Evernote Large Ruled Smart Notebook – 5 x 8.25) but I save $15.00 every three months, which strangely enough is about the time that it takes me to fill up my notebook anyway. So the total price for the notebook for me ends up being $14.95. I have been buying my notebooks through Amazon.com for $12.21 each, so for the additional $2.74 I can now have all my notes digitized and searchable for the future. I still haven’t found a replacement for my favorite Mont Blanc pen, but not really looking for one. So when we meet, look for my Evernote Smart notebook and my pen, it will hopefully be in use capturing your ideas and thoughts. Let me know if you are a fan of Moleskine, Evernote, Mont Blanc or all three. I’m off to Starbucks to write some ideas down for my next post. 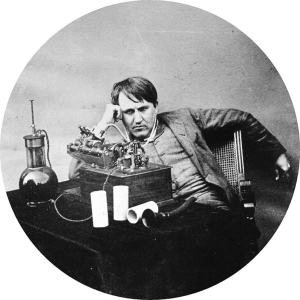 Innovation and Growth are linked in so many differing ways. For an idea to grow, there must be certain systems or practices in place that feed the process of continuing innovation. What specific things can we learn about innovation and growth from some of the most successful growth companies? Intense global competition and a sluggish economy have made the realization of growth more challenging than ever. Yet some organizations such as Apple, Amazon, and Starbucks seem to defy the laws of economic gravity. Diminishing returns set in as the most attractive customers are reached, price competition emerges, the current product loses its luster, customer support challenges emerge, new operating skills are required, and so on. 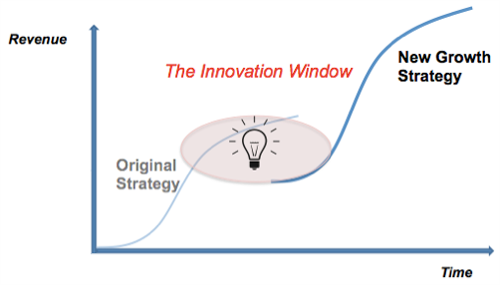 The time to innovate—the innovation window—is when the first growth curve hits an inflection point. How do you know when you’re hitting the inflection point? You never know. So the best companies are forever paranoid and make innovation a continuous process. Managers are trained to make choices, but they don’t always have good options. Innovation involves creating new options. This is where designers excel. Apple’s exceptional user experiences were largely the creation of Jonathan Ive, a professional designer and Jobs’ righthand man. Design thinking requires a different set of tools. Growth company strategists have abandoned Porter’s Five Forces Analysis because it assumes that markets have well-defined boundaries and competitors must fight for market share. Instead they search for uncontested market space and make competition irrelevant using Blue Ocean Strategy and the Business Model Canvas. Google encourages employees to spend a day per week on new ideas. P&G tracks the percentage of revenues from new products and services. Gray Advertising gives a Heroic Failure Award to the riskiest ideas … that fail! More important are innovative leaders as role models. Amazon founder Jeff Bezos has told both employees and shareholders that he cares less about profitability and more about planting seeds that are likely to pay off in five to seven years. He’s so driven by vision that he’s investing over $40 million of his own money in a product designed to last for 10,000 years. Innovation is no more evident than in the art of growing things. Container gardening is something anyone can do regardless of space or time. Container gardening is great if you do not have any land to plant a garden or you just wish to add some texture and beauty to an area. An easy, healthy, and sustainable set of plants to grow in containers are herbs. They come in all shapes, sizes, and variety of colors. Some herbs flower, some do not. But all can be used for their beauty, their healing ability, and their tastiness. Before you begin, learn the growing requirements for the herbs you desire to plant. 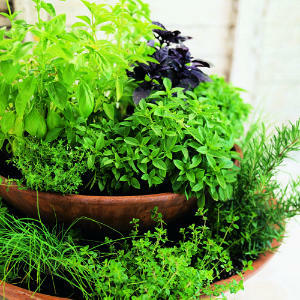 Herbs that can be relatively close together will produce a beautifully designed container garden. Consider the geometric space of the container; is the container long and rectangular like a window box or deck container or perhaps the container is a uniquely shaped household item that has been repurposed into a container for the garden. Good design uses and accentuates the geometric design of the container and the plants should compliment (not overcrowd) the container. A single container does not need to be used for an herb garden. Alternatively, a more modern designed container garden can be achieved by placing a single herb plant in identical container pots and then arranging the pots into a geometric design. Next, consider the layout desired for your herb container garden; herbs that will grow tall can be placed in the back of the container while those that are more colorful (purple basil, for example) can be an eye-catching center piece and used as a balance counterweight. Think about the texture of herbs as well. Salad burnet and purple sage, for example, have soft textured leaves while rosemary is pricklier. Flowering herbs can be especially delightful in a designed container garden. Chives, chamomile, chicory, echinacea, lavender, thyme, and yarrow all produce colorful flowers. If the herb garden will be eaten, it is important to consider that most herbs used for culinary purposes will not be allowed to flower early in the season so it is best to focus on texture and leaf color to bring a sense of fullness to your herb garden design. Regardless of the design of the container garden it is important that creativity and fun are a included in the gardening and designing experience. The blurb below, promoting James Surowiecki’s talk at Tim O’Reilly’s 2005 Emerging Technology Conference, makes a great point. The basic message? A crowd is wisest when each member retains a strong individual point of view. Paradoxical, yes, but in your gut you know it’s right. The essence of collaboration is not necessarily “teamwork” in the classic, competitive sense. Rather it depends on every person being passionately and enthusiastically productive, however they happen to “get into it.” In a company context, it’s a team leader’s job to be on the lookout for what each individual needs to stay in their productive passion. Google coddles its creative teams with every conceivable convenience, but it also draws the line at “techno-arrogance.” A “smarter than them” attitude is simply not collaborative or encouraged. Engineers who think they’re smarter than the folks using their stuff are deadly to a user-centric company like Google. It’s up to individuals and their mentors, leaders and coaches to make sure each crowdster brings all their “flavor” when he or she shows up. It also helps when each person gets away from “smarter than you” pretenses by finding some brilliance in a few fellow crowdsters – something that’s “smarter than me” – and champions it. Mix equal amounts of brilliance, assertiveness and humility together and you’ll have a pretty wise crowd.